Ideal Tax Solution, LLC has learned the IRS is requesting nominations for the Information Reporting Program Advisory Committee (IRPAC) prior to the May 31, 2013 deadline. The IRPAC is a federal advisory panel that advises the IRS on various tax administration issues. The IRPAC represents a great way to not only stay informed, but actually have impact on various tax administration issues. Ideal Tax Solution, LLC is alerting taxpayers and clients that nominations for up to eight appointments are currently being accepted for terms beginning in January 2014. Members represent the taxpaying public are appointed by the IRS commissioner. The 2014 IRPAC committee will consist of 21 members. The IRPAC presents an annual report to the Commissioner at a public meeting in the fall. IRPAC members come from diverse backgrounds and are appointed to three-year terms. The terms are staggered which allows for approximately one-third of the panel to change every year. Ideal Tax Solution actively encourages taxpayer involvement in monitoring and administrating tax regulation issues. IRPAC members come together from all walks of life, including professional tax resolution companies like Ideal Tax Solution, state tax administrations, colleges and universities, small and large businesses, insurance companies, banks, foreign financial institutions, and software and payroll industries. Those interested in becoming IRPAC members may be nominated by a professional organization or self-nominated. Applications must be completed by all nominees. Ideal Tax Solution is standing by to assist anyone in need of help with regard to becoming part of this very important IRS Advisory Committee. 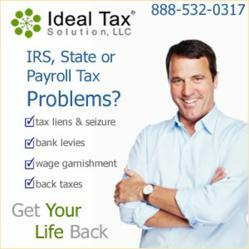 For more information on IRPAC or any tax related issue, contact Ideal Tax Solution or visit the IRS website at this address.